The Bake Sale is HERE! 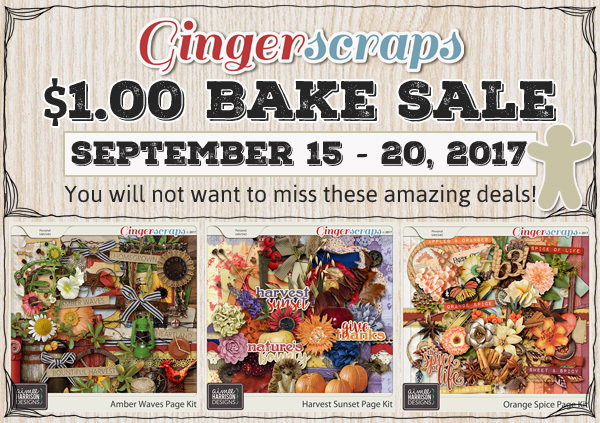 The Monthly Bake Sale at GingerScraps has arrived and this month I have some lovely kits for you all! This week I have 3 items for $1.00 each! I hope you enjoy those savings! « Autumn Glow on Sale for $1-2 Each!